If you can export your existing customer data into an Excel or text file then it’s easy to migrate your existing customer database to Rock Gym Pro. However, because memberships are represented differently in different systems, you must first send us your Excel or text file for us to convert into a format our software can understand. The cost to build a migration template is $250 and requires a one-year contract of premium support. In your existing system, export an Excel or text file of your customer database. Make sure the file has one row per customer, with the first row being a header row containing column names. Please include all your customer types, such as members, guests, etc. Click here to view our list of recommended data fields. IMPORTANT: Do not send us credit card or billing account information. Once you’ve created your data file, use the Contact Form to email Rock Gym Pro. Our support staff will reply to the email, and then you can send them the data file as an attachment directly. We will then convert the file and send you back a Data Migration Template File. 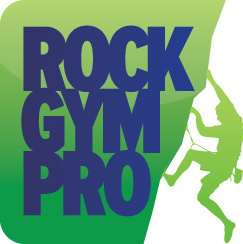 This file will map your data format to the data format used by Rock Gym Pro. Import the file per our article on the importing process. Once you have the template file, you can import your data at any time or delete the imported customers. This allows you to experiment with Rock Gym Pro until the exact day you are ready to switch when you perform the final transfer. TIP: If you only have a few hundred members and don’t want to pay to have your customer database migrated, you may want to consider just starting fresh (i.e. don’t import) with your database and entering your members one at a time.